Marathon season is here, which means runners across the country are obsessing over how they can make even the most marginal performance gains. Although I’m skeptical of supplements, there is one that boasts a strong record of effectiveness, carries virtually no downside, and is not banned by the World Anti-Doping Agency. Its use among the general populace is somewhat rare, but in my reporting on the Rio Games I learned that nearly all Olympians — from swimmer Katie Ledecky to runner Des Linden — rely on it. Its benefits are most powerful in those who have put in solid training: It helps them fully express their fitness on race day, unlocking the last few percentage points of their potential. This supplement has even been used to enhance performance in contexts beyond sports. Consider a recent study published in the journal Medicine and Science in Sports and Exercise, in which researchers from the University of Glasgow had well-trained runners self-administer saline (i.e. salt water) injections once daily for a week. The runners were told, however, that the injections contained an innovative new drug called OxyRBX (not a real thing) that promised to increase oxygen delivery to their muscles during exercise. At the end of the week, the runners who thought they were shooting up OxyRBX improved their performance in a three-kilometer race by 1.2 percent compared to a control group, which saw no improvement. 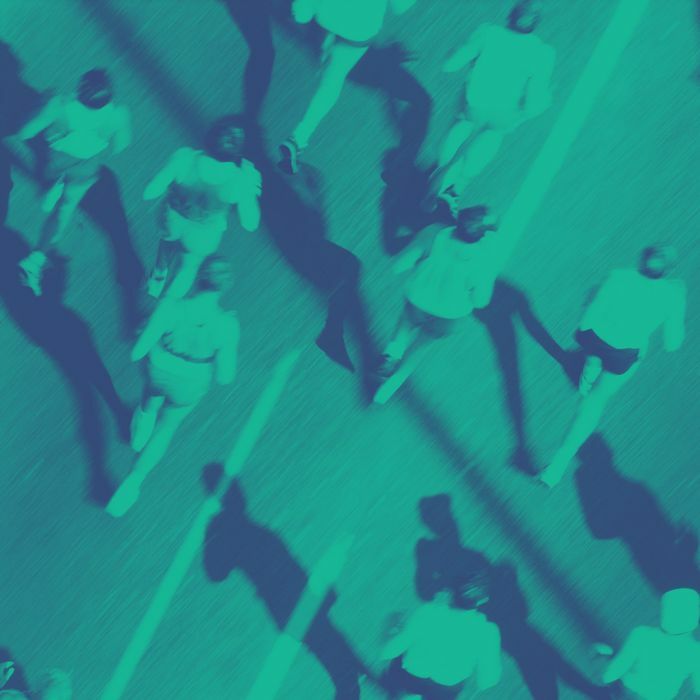 In addition to the measurable change in performance, the runners who used OxyRBX reported that the race felt easier and that they experienced a faster rate of recovery. Another study, published in the same journal and conducted by researchers from Canterbury Christ Church University, found that cycling performance improved between 1.3 and 3.1 percent after cyclists ingested a sugar pill they believed to be caffeine. Interestingly, the gains were greater in cyclists who thought they were taking nine milligrams of caffeine versus those who thought they were taking four and a half milligrams. Of course this had nothing to do with what was in the sugar pill, and everything to do with what the cyclists believed was in the sugar pill. • A 1 percent gain is two minutes saved. • A 2 percent gain is four minutes saved. • A 3 percent gain is six minutes saved. One such way to harness the power of belief is to adopt a commercially available performance-enhancing intervention — a few of which have at least some evidence of efficacy — and fully commit to it. In other words, if you are going to use beet-root juice (claim: increased oxygen delivery to the muscles), caffeine (claim: decreased perceived exertion), compression socks (claim: improved blood flow and recovery), or beta-alanine (claim: enhanced muscular function), be anything but skeptical — use them like a true believer. Based on the current literature, each of the above products probably has some “real” effects. It’s just that these real effects are likely amplified, and perhaps in a big way, by belief. I’m using beta-alanine and beet-root juice in advance of my November marathon. I have no idea if the beta-alanine or beet-root juice will help me, but I’m quite confident that my belief that they’ll help me will help me. It’s interesting to note that all the above interventions, along with sleeping in an altitude tent and wearing lighter shoes, have been shown to independently enhance performance by 1 to 3 percent. Yet if a runner goes from doing none of these things to doing all of them, he or she rarely, if ever, experiences a 10 percent jump in performance. Far more likely is that he or she will experience a 1 to 3 percent increase, the same magnitude that would be expected from any single intervention — suggesting that it might be the power of belief itself that is leading to that small but significant gain. There is such a difference between asking yourself, “Oh gosh, can I do it?” and saying “I’m going to do this.” The former breeds self-doubt and almost always stifles performance. The latter sets you up to go all-in and have no regrets … Honestly, I think my biggest asset is my comfort with taking risks and my unwavering self-belief. Knowing I put in the work and having confidence in it. Prior to a marathon (or any other big event) one of the best things you can do is reflect on all the work you’ve put in. Go back in time via a quick trip through your training log. Remember your toughest workouts. Gain confidence that while you are resting in the days before your race all your training is soaking in. Remind yourself of all these things on the starting line. Swallow them down like a pill. Doing so will increase your chances of having a breakthrough performance. Trading doubts and fear for belief makes you more likely to take constructive risks and get the most out of yourself. You get out of your own way, freeing your mind and body to do what they are fully capable of. This is an effect that has been documented beyond athletics. For example, studies have found that a woman’s performance on mathematical tests is strongly affected by her beliefs about women and math. When women are told that men are better at math, they score much lower than when they are told women are equally or more capable. Other research shows that when students believe their ability is not fixed, but rather that they can improve — what’s often referred to as a “growth mind-set” — both their acute and long-term performance rises. The stories we tell ourselves and each other (coaches, parents, teachers: this means you) matter. It may be a story about a pill, a story about compression socks, a story about all the hard work we’ve completed, or a story about our innate potential. Whatever the case may be, positive yet realistic stories seem to yield positive yet realistic results.